I spent Tuesday afternoon pleasantly, bookshopping in Sheffield, and bought something of a rarity from Rare and Racy, the books-and-music shop on Devonshire Street. 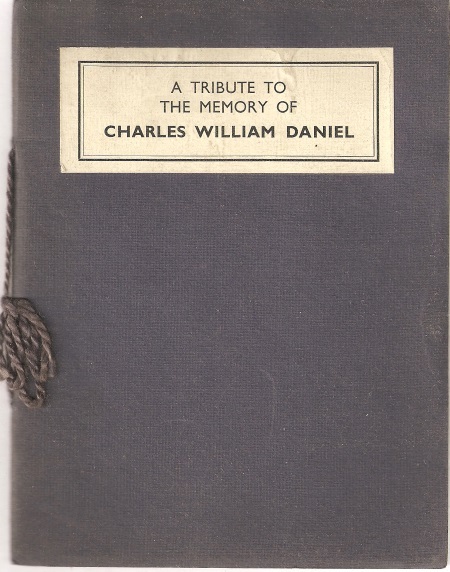 It is a small pamphlet issued as a tribute to pacifist publisher C. W. Daniel, shortly after his death in 1955. I’ve written about Daniel here before, especially after my research session a few years ago exploring his firm’s archive in Amsterdam. He’s the pacifist publisher who went to jail rather than pay a fine when the anti-war pamphlet he wrote was published. He was prosecuted again when he published the astonishing novel of pacifists and sexual polymorphs, Despised and Rejected by Rose Allatini (alias A. T. Fitzroy). This pamphlet is anonymous, but gives a short biography of Daniel. Born in 1871, he was 12 years old when his father, an employee of the Frederick Warne & Co. publishing house, died. Young Charles therefore soon had to earn his living, first as an office boy in Hatton Garden, and then in the office of an advertising agency. Eventually he became an employee of the Walter Scott publishing company in Paternoster Row. This company published the works of Tolstoy, a thinker in whom Charles was already interested. He was strongly influenced by the Tolstoyan lecturer J. C. Kenworthy, and eventually he started the Sunday discussion group that eventually became the London Tolstoyan Society. At this stage, Daniel had the nicknames ‘Beethoven’ (because he resembled the composer’s portrait) and ‘the pale young curate’. One of the visitors to these meetings was Florence Worland, whom he married some years later. In 1902 Charles Daniel started his own small publishing business in Cursitor Street (off Chancery Lane, between Fleet Street and Holborn). 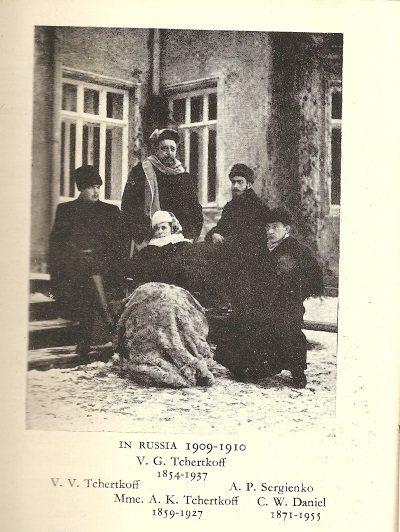 He became associated with the Free Age Press, which had the agency for Tolstoy’s writings, and distributed them at such low prices that they could not have made a profit. The firm also issued a series of ‘People’s Classics’ (at 1d or 2d a copy) ‘printed to place in the hands of the masses, at the cheapest price, the richest thoughts of the world’s greatest thinkers’. The series included writings by Emerson, Aristotle, Socrates, Rousseau and others. In the early 1900s the firm of C. W. Daniel began publishing magazines. One of these was at first unashamedly called The Crank, though it later changed its name to The Open Road. The other magazine was The Healthy Life. ‘The Cranks’ Table’ was an unofficial luncheon club that met in a Bride Street vegetarian restaurant, and discussed the problems facing the world. Members included journalists from the Liberal papers the Daily News and the Star. Tolstoy occasionally provided articles for The Crank. Charles Daniel wrote articles under the pseudonym of ‘The Odd Man’; Tolstoy included some of Daniel’s sayings in his anthology, Circle of Reading. 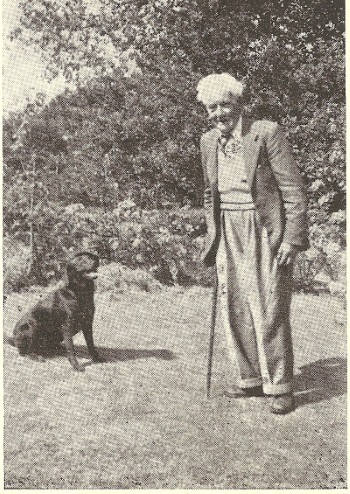 Other contributors to Daniel’s magazines included Dorothy Richardson, Cecil Chesterton, G. K. Chesterton and the educational reformer Mary Everest Boole . In 1908 Daniel opened a small bookshop in Amen Corner, off Ludgate Hill. In 1909 he published his book Instead of Socialism, which was based on the teachings of Proudhon, and on the economic theories of Henry George. He called himself a ‘philosophical anarchist’, was strictly vegetarian and a convinced pacifist, on Tolstoyan lines. Charles Daniel’s admiration for Tolstoy survived (and was probably enhanced by) a visit to see the great man at Yasnaya Polyana. He was deeply impressed by the Russian genius, and after Tolstoy’s death wrote an account of him that took his side in the controversy about Tolstoy’s marriage. During the Great War, Daniel published pacifist works by Theodora Wilson Wilson, Walter Walsh, G.T. Sadler, J. Scott Duckers and Stanley B. James. He was prosecuted twice; once for his own papmphlet ‘The Knock-Out Blow’, and once for Rose Allatini’s novel Despised and Rejected. This account avoids mentioning that Despised and Rejected was prosecuted as much for its sexual frankness as for its pacifism. As I’ve written here before, the campaign against the book was led by James Douglas, who had previously succeeded in instigating the prosecution of Lawrence’s The Rainbow, and would later do the same for Radclyffe Hall’s The Well of Loneliness. After the trial, Daniel published a pamphlet defending himself against charges of immorality, and claiming that he had not realised the sexual implications of Allatini’s remarkable book. I was assured by the author that the love between the hero and his friend was analogous to that between David and Jonathan. I did not see what has since been pointed out – that certain passages are open to an immoral interpretation. Personally, I would rather that any book were burnt than that I should be party to lending support to depravity of either the homo-sexual or the contra-sexual types. The author of this tribute clearly prefers not to remind his or her readers of such contentious matters. In the twenties and thirties Daniel published a wide range of the advanced thinkers of his time. These included Soren Kierkegaard and the psychologists Alfred Adler and Georg Groddeck, as well as a range of British high-thinkers and simple-lifers.He published plays by D. H. Lawrence and Douglas Goldring. A new journal, Focus (later changed to Purpose) was a more general cultural magazine. There is a long list of contributors, among whom I noticed, Henry Miller, Lawrence Durrell, John Middleton Murray, T. S. Eliot, Elizabeth Bowen, Rayner Heppenstall and Dylan Thomas. Most of the editing work of this magazine was done by Daniel’s associate W.T.Symons – they seem to have shared the pseudonym ‘John Marlow’. Daniel’s career touched many of the important intellectual trends of the twentieth century. He bore the title ‘crank’ proudly, and many of his notions will seem to most to be impractical and over-idealistic, but he was a man of principle, and never afraid to ask awkward questions of the orthodoxies of his time. This entry was written by George Simmers and posted on February 12, 2015 at 11:31 pm and filed under Magazines, novels, publishing with tags C. W. Daniel, publishing, Rose Allatini. Bookmark the permalink. Follow any comments here with the RSS feed for this post. Post a comment or leave a trackback: Trackback URL. Every word of this is fascinating, George. What a remarkable man. I was not aware that the same individual, James Douglas, hunted D.H. Lawrence, Allatini and Radclyffe Hall; I will read your other post! The warp and weft of things in the less well-known literary milieu of the period are endlessly interesting. For example, I didn’t know until quite recently that Jessie Pope, Wilfred Owen’s famous “certain poetess”, was instrumental in getting Tressell’s The Ragged-Trousered Philanthropists published. Good on her! Douglas also tried to whip up a campaign to prosecute Arnold Bennett’s ‘The Pretty Lady’, but Bennett used his establishment connections to put a stop to this. I LOVED the Virgin Mary driving the taxicab. I’ve spent the morning adapting this post into an entry for Wikipedia, which had no entry for Daniel (it is weak on WW1 pacifists). Any suggestions about how it could be improved will be gratefully received. I think it was precisely the prostitute’s superstitious Catholicism that annoyed the Catholic Federation. I am an MRes student at Liverpool John Moores University researching the reading habits of C. W. Daniel’s brother in law Jack Goring in respect to his intellectual, political, spiritual and career development. In his autobiography (Burnett Archive of Working Class Autobiographies, held by Brunel University Library)Jack cites Toltoy’s The Kingdom of God is Within You as being – as Daniel Allington would put it ‘The Book That Made all the Difference’- Jack was also a contributor to The New order published by the Free Age Press as well as writing books of children’s verse. Jack and his wife Jane (Charles Daniel’s sister) were married on the same day as Charles and Florence at the same registry office (see my author blog @writinglives.org)I was wondering if you had come across any of Jack’s work as part of your research at the International Institute of Social History. I didn’t know that authors paid for their work to be published, although this makes sense, as I have often wondered how C. W. Daniel’s publications could be produced so cheaply. Thanks for this. I didn’t know about Jack Goring. The Archive at the International Institute of Social History is the archive of the publishing firm, and does not include much personal material at all – at least, not in the folders that I looked at, which were mostly related to Daniel’s wartime activities. The accounts are very interesting, as they show a variety of ways in which publications were funded. Fascinating! I have an anthology of women’s poetry in WW1 coming out next year. 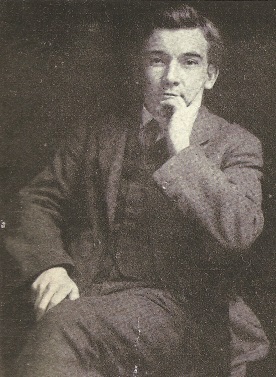 C. W. Daniel published one of the most pacifist poets. Finding out about the publishers is adding a whole new layer to the project and sheds further light on some of the more obscure poets I feature. Thank you for the info. Viv – Glad to know the blog has been useful. Let me know when the anthology hits the stores.